The Fluffball Foundation was founded by actress and animal activist Emmanuelle Vaugier. 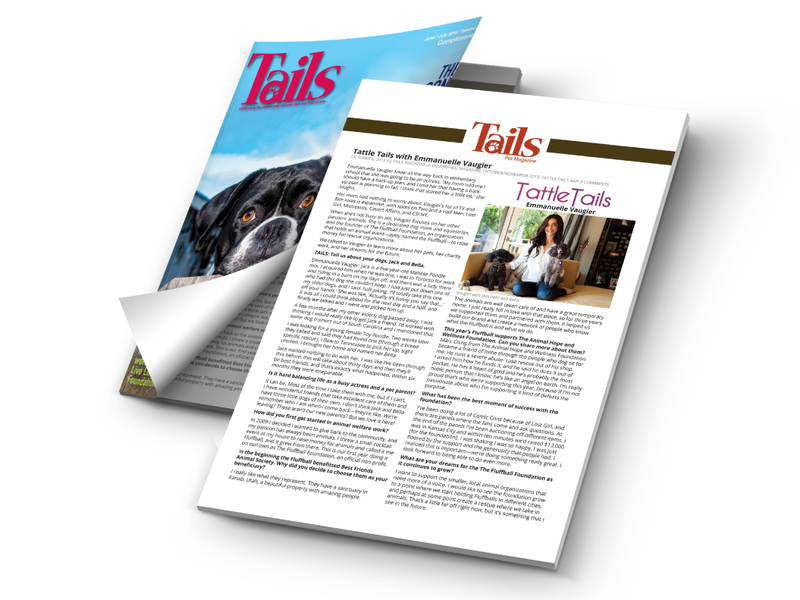 Each year, the foundation chooses a deserving animal rescue non-profit for which it raises funds and awareness. the midnight oil group started working with the foundation in 2013, assisting with media outreach for the event. Since then, we have taken over complete event production and management. 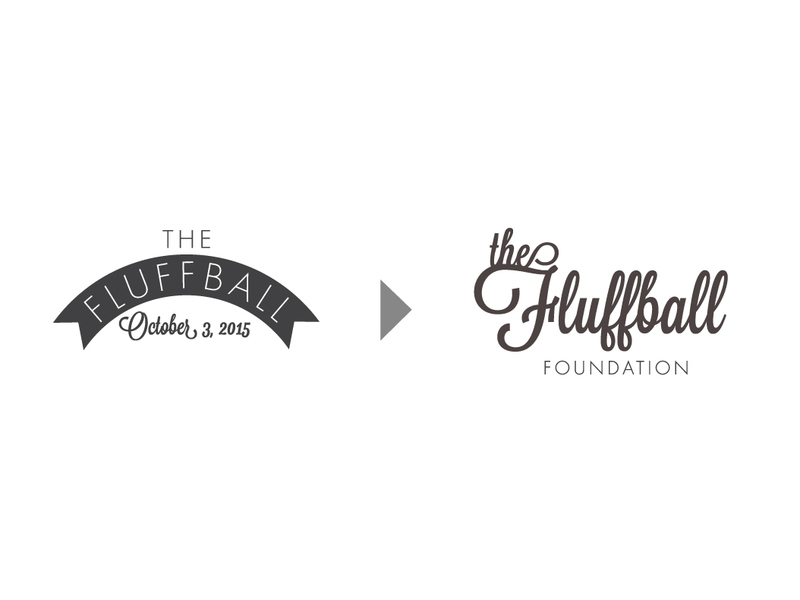 When The Fluffball officially became a foundation rather than a stand-alone event, the logo needed to be refreshed to reflect this significant change. The new logo–a simple and elegant type treatment–also needed to be versatile enough to work year after year, in conjunction with the changing charities and evolving style of the event. The event has taken many shapes over the years, starting as a dressy gala, morphing to a daytime soiree and evolving to an evening event. the midnight oil group handles all event planning, production, setup and day-of coordination. This includes sourcing and managing all event items, such as tables, chairs, linens, bar equipment, etc. Additionally, we hire the entertainment for the event, which has ranged from a performance artist to live trumpeter to a DJ. We oversee the menu selection, coordinate payments to vendors, handle day-of logistics, execute press credentials and media line up, manage guest RSVPs and much more. Our goal is to enable our client to focus on raising money during the event, while all logistics are completely handled by our capable team. The Fluffball needed a simple website that could be updated frequently given the changing nature of each year’s event. 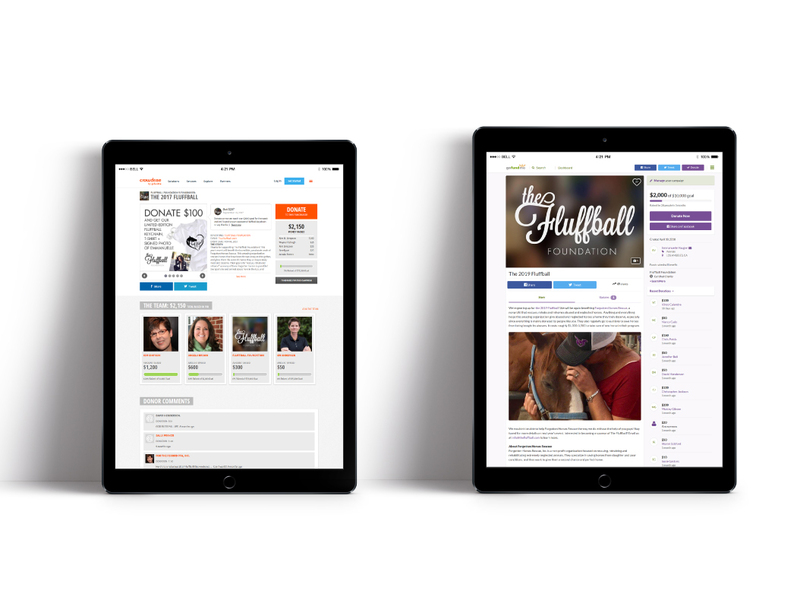 We designed The Fluffball’s website on Squarespace because it is cost effective and user friendly. Squarespace also has e-commerce capabilities, which allows us to sell merchandise and tickets, as well as accept donations. Over the past seven years, The Fluffball has gained devoted supporters who are generous with in-kind and monetary donations. We have nurtured these relationships with companies like KIND Snacks, Tito’s Handmade Vodka, Moet & Chandon, Rolls Royce and Aston Martin, just to name a few. Additionally, the midnight oil group handles all outreach to and procurement of silent auction and gift bag items for the event. Crowdfunding is a great way to get micro-donations from supporters across the world that can add up to substantial fundraising dollars. We use various platforms to fund raise, including social platforms like Twitter and Facebook, but also Crowdrise, GoFundMe and Charity Buzz. Crowdfunding has been particularly beneficial for pre-event fundraising, which has helped cover event production expenses and allows the foundation to include supporters and fans from all over the world in its mission. Our work on each Fluffball event begins a year out from the event date. In addition to sponsorship outreach, we are consistently marketing both the event and charity to stay top of mind with our supporters. Our marketing efforts include mini campaigns that both increase awareness for the nonprofit and raise dollars along with way. We create custom email marketing blasts that keep supporters informed, engaged, and up-to-date about upcoming events or ways to get involved. As a working actress, The Fluffball founder, Emmanuelle Vaugier, is able to tap into her network of celebrity friends and colleagues. Our team also conducts outreach to select public relations and talent management agencies for step-and-repeat coverage. Past notable celebrity attendees have included: Anna Faris, Alyssa Milano, Elisabeth Shue, Amy Smart, Rachelle Lefevre, Anna Silk, Lori Loughlin, Ivan Sergei, Diane Warren, Lisa Edelstein, Tricia Helfer, Matthew Lawrence, Roger Cross, Rachel Skarsten, Robbie Amell and Sheldon Bailey. 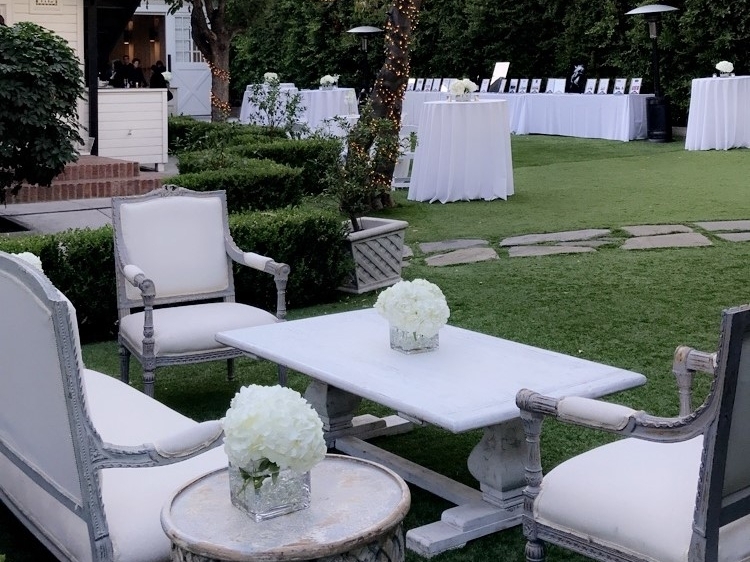 We have secured media placements for The Fluffball in InStyle Magazine, Angeleno, Coco Eco, ET Canada, Modern Luxury, 944 LA, Haute Living Los Angeles and Tails Magazine, to name a new. 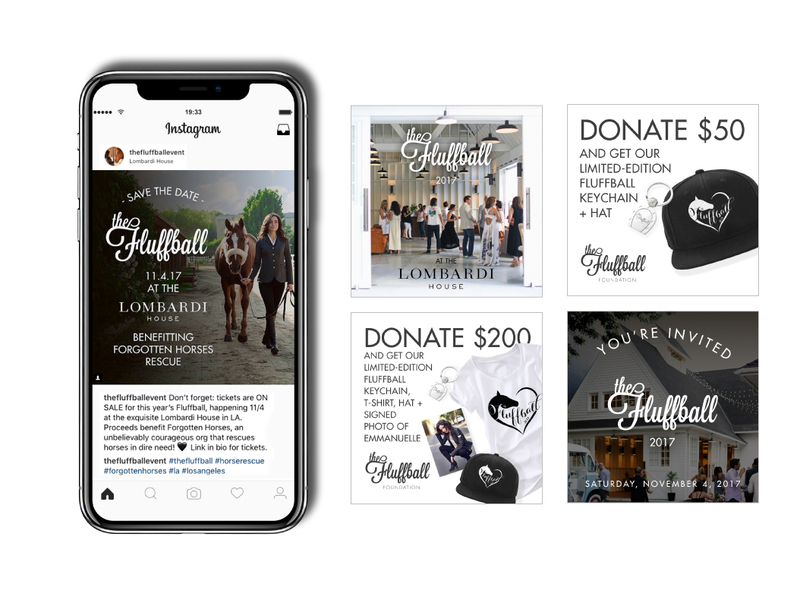 From creative t-shirts and hats to key chains and bracelets, we create new merchandise each year based on the chosen charity, and each purchase helps to raise funds and awareness. We actively use social media platforms like Facebook, Twitter and Instagram to promote both The Fluffball event and raise awareness for the charity the event supports. Emmanuelle has an active fan base, so we consistently create ways to tie in directly with her community to help us spread the word about the cause. 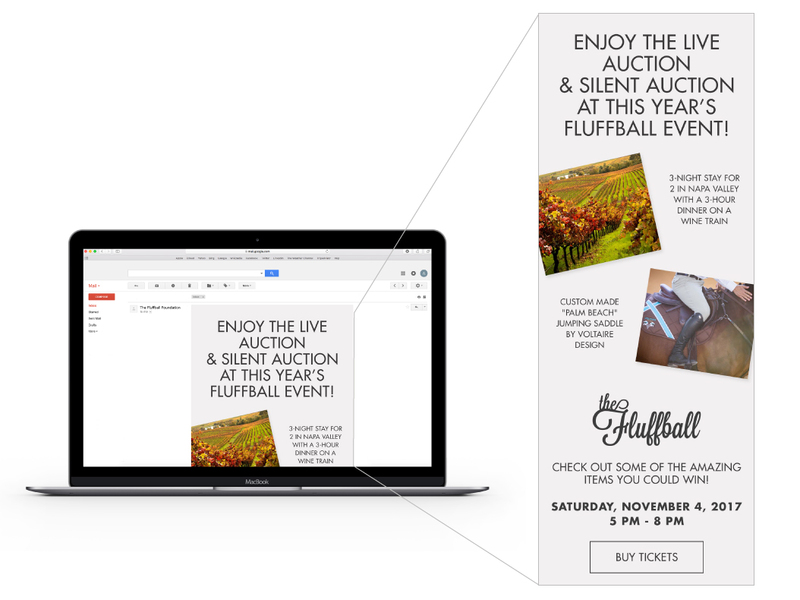 We also design all marketing materials and event branding for The Fluffball. 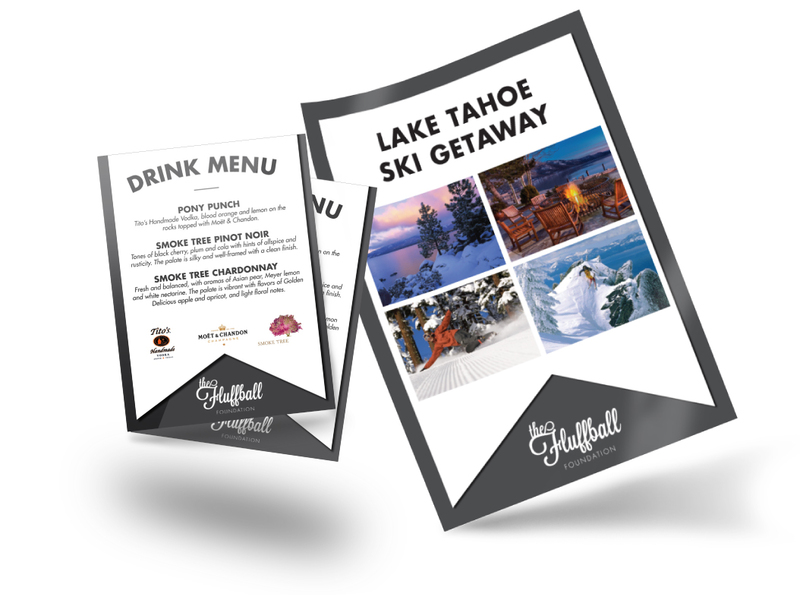 This includes design of drink menus, programs, event signage, step and repeat, decorative elements, silent auction signs, invitations and more. Each year, we incorporate the charity being honored to ensure their brand is also represented throughout the event. It is our goal to create events that are professional, memorable, and, most importantly, meaningful.